How is your 2019 going so far? Can you believe we are into our second quarter of the year? Wow, time is flying! So, what does a Word of the Year have to do with your year? Why do you need a Word of the Year? 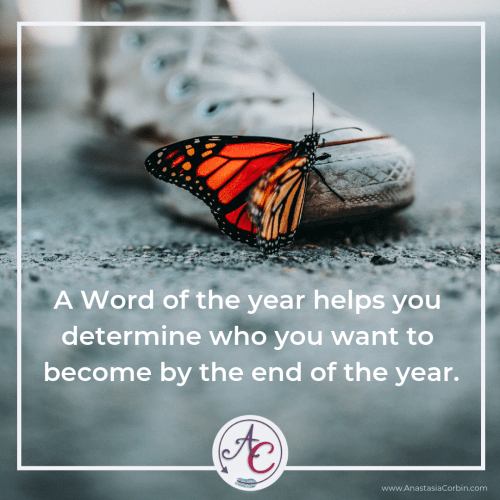 I believe you need a Word of the Year to give you a growth focus for the year. The word is meant to represent a central way you are depending on God in the year to come. It helps you determine who you want to become by the end of the year. When you have a word of the year, it helps you to be intentional about how you spend the hours, days, and months of the year. My Word of the Year for 2019 is Pause. God placed this word on my heart towards the end of last year. Often my response or reaction to our children and my husband can be critical or negative. My reaction can also be this way when facing conflict or difficult situation. Instead of reacting quickly, I want to Pause before I speak. I also will pause before I react in my thoughts. So far, my word of the year has been very impactful. It has caused me to pause more and think before I speak. I have a lot of growing to do in Pausing but I am on a good start. Selah is a Hebrew word that means pause. Isn’t that just awesome?!?! My scripture verse reminds me that the Lord of Heaven’s Armies is on my side. God can help me keep my mouth closed before unkind words slip out. He can help me to pause and check my attitude and body language too. Word of the Year. It can shape you and help you make decisions. Your Word of the Year gives you meaning and purpose for the year. So, how do you choose your word of the year? I am so glad you asked! I have created a resource for you to help in this process. Sign up below to download the FREE Word of the Year Resource. I can’t wait to hear what your Word of the Year is!